The Horace Mather Lippincott papers were donated to the University Archives by Horace Mather Lippincott, Jr. (1921-2010) in 2001 (accession numbers 2001: 04 and 2001: 14). The papers are organized into six series, Correspondence, Historical Research, Writings, Memorabilia, Photographs, and Diplomas and Certificates. The correspondence is grouped by date and type and then arranged alphabetically and the remaining series are arranged alphabetically. Horace Mather Lippincott was born on April 20, 1877 in Philadelphia, Pennsylvania, the only child of Philadelphia lumber merchant Robert C. Lippincott and Cynthia Shoemaker Mather Lippincott. A graduate of Germantown Academy in 1892, he entered the University of Pennsylvania as a member of its Class of 1897. 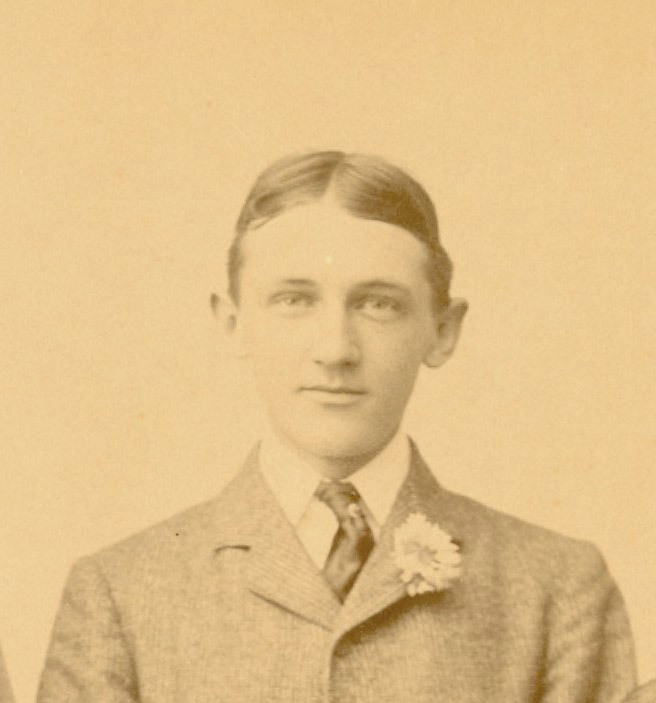 As an undergraduate, Lippincott was heavily involved in extra-curricular activities, including: manager of the Class Football, Baseball and Cricket teams, member of the Houston Club, Recording Committee, and Class Record Committee, and was a presenter at the Class of 1897’s Class Day exercises. Lippincott earned a Ph. B. (Bachelor of Philosophy) in 1897. As an alumnus, Lippincott remained devoted to the University of Pennsylvania and the Class of 1897, joining the General Alumni Society in 1902, and serving as the Class of 1897’s Secretary (1897-1904, 1922-1945), President (1904-1907, 1916-1922), and unofficial class historian. Lippincott also remained devoted to Penn sports, serving as Director (1906-1912) and Secretary (1907-1912) of the Athletic Association, and as Chairman of the Minor Sports Committee (1908-1912). In 1912, Lippincott became Secretary of the General Alumni Society, a position he would hold until 1930. 1912 also marked the year that Lippincott became Editor of the Alumni Register (later called the General Magazine and Historical Chronicle). In 1928, Lippincott also became editor of the Pennsylvania Gazette. He would remain editor of both of these publications until his retirement in 1945. For his tireless work for the University of Pennsylvania, Lippincott was awarded an honorary M.A. in 1940 also the General Alumni Society’s Award of Merit in 1942. Lippincott did not restrict his activities to the University, however. He was also active in numerous clubs and societies, including: Germantown Cricket Club, the Savoy Company, the Site and Relic Society of Germantown (now called the Germantown Historical Society), the Pennsylvania Historical Society, Germantown Academy, Friends’ Central School, Green Street Monthly Meeting (Philadelphia, PA), and Abington Monthly Meeting (Jenkintown, PA). He was also the author of several books, articles, and pamphlets, including (but not limited to): The Colonial Homes of Philadelphia and its Neighborhood (1912), A Portraiture of the People Called Quakers (1915), George Washington and the University of Pennsylvania (1916), Early Philadelphia, Its People, Life, and Progress (1917), The University of Pennsylvania, Franklin’s College (1919), and An Account of the People Called Quakers in Germantown, Philadelphia (1923). Horace Mather Lippincott married Sarah Styer Jenkins (1887-1965) in 1914. They had one son, Horace Mather Lippincott, Jr. (B. Arch., 1948). Lippincott died on January 12, 1967, aged 89. The Horace Mather Lippincott Papers primarily document his service to the University of Pennsylvania’s General Alumni Society, particularly through his positions as editor of The Alumni Register (later renamed The General Magazine and Historical Chronicle) and The Pennsylvania Gazette. The documentation exists in the form of correspondence between Lippincott and other University administrators, faculty members, and others wishing to contribute to either publication. It should be noted that as an alumnus with a vested interest in Penn that Lippincott also corresponded about University affairs that did not specifically concern the Register or Gazette. It should also be noted that some of the correspondence is not related to Penn at all and pertains to his various other positions and interests, such as his service as a trustee of Germantown Academy for example. Some of the correspondence is entirely personal in nature, such as Lippincott’s correspondence with the headmaster at the Westtown School concerning the education of this son, Horace Mather Lippincott, Jr. Lippincott’s work with the Religious Society of Friends, a Quaker organization, is also documented through correspondence, though it exists separately from the other correspondence. Some of Lippincott’s historical research, both for the University and for outside projects exists within the papers. This documentation is in the form of Lippincott’s original notes and drafts, as well as correspondence with experts, editors, publishers, librarians, and others. A sampling of Lippincott’s published works and manuscripts are also included, and, finally, a few photographs and Class of 1897 memorabilia rounds out the papers. The Friends Historical Library of Swarthmore College also holds a collection of Lippincott’s papers (http://www.swarthmore.edu/library/friends/ead/5251holi.xml). Haverford College’s Quaker and Special Collections Library also maintain materials created by Lippincott as a part of their holdings (http://www.haverford.edu/library/special/). University of Pennsylvania: A Glimpse of the University, its History, Equipment, and Advantages with some Account of its Requirements. Philadelphia: University of Pennsylvania General Alumni Society, 1914. University of Pennsylvania: A Glimpse of the University, its History, Equipment, and Advantages with some Account of its Requirements. Philadelphia: University of Pennsylvania General Alumni Society, 1919. University of Pennsylvania: A Glimpse of the University, its History, Equipment, and Advantages with some Account of its Requirements. Philadelphia: University of Pennsylvania General Alumni Society, 1927. Bining, Arthur Cecil. Pennsylvania Iron Manufacture in the Eighteenth Century. Harrisburg: Publications of the Pennsylvania Historical Commission Volume IV, 1938. The Pennsylvania Magazine of History and Biography, Volume LXXXVIII, Number 2, April 1964. Class Photograph, Class of 1897, n.d.